Fred Young is a tractor collector and sometimes Keith and I find ourselves in the same places at the same time. Fred likes Farmall Red tractors, and plays the drums for the Kentucky Headhunters, a band we love. Music offers its own way of traveling, putting on a great recording sets the time and place in my mind and sometimes takes me away to somewhere else. 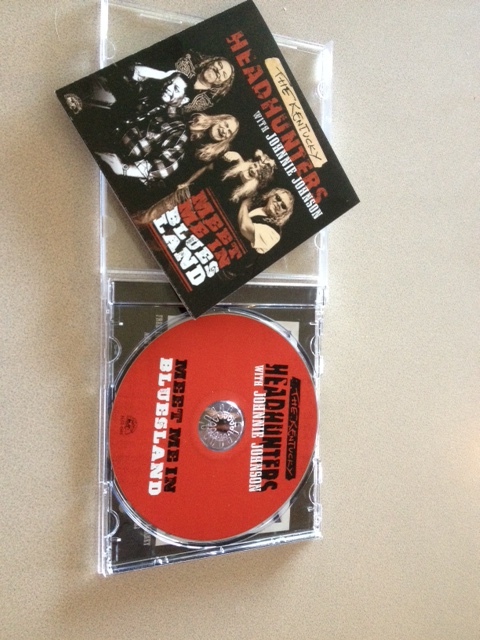 Yesterday I received a copy of The Kentucky Head Hunters new CD Blues Land and it takes me to Memphis or a bluesy Nashville spot where music plays with a throbbing beat that makes me want to get up and dance. This album was created with the late Johnnie Johnson, the Rock and Roll Hall of Famer. Johnson played piano with Chuck Berry and according to his biography Berry wrote the song “Johnny B. Goode” about Johnson. Johnson has been called “the world’s greatest living blues pianist” and it was that talent and a friendship with Kentucky Headhunters members, brothers Richard and Fred Young, Greg Martin, Doug Phelps and Anthony Kenney, that brought Johnson to Kentucky to play tracks for the then upcoming album Soul. This was in 2003 and Johnson later passed away in 2005. The session turned out so well with the Headhunters that Johnson spent three days playing music and this album is the result. The music on Blues Land is referred to as a “country-fried, blues-infused party from start to finish”. To me it is a rock-a-billy blues album that had us tapping our feet and shaking in our chair until I got up dancing much to my daughter’s dismay. For information on The Kentucky Headhunters and their new album log onto http://kentuckyheadhunters.net/ get your a copy and take a trip down melody lane. Previous Post: Ah the food, the views and the Mariachi bands – Puerto Vallarta style. Next Post: Lost at sea and back again, the story of the "Boy on the Seahorse"